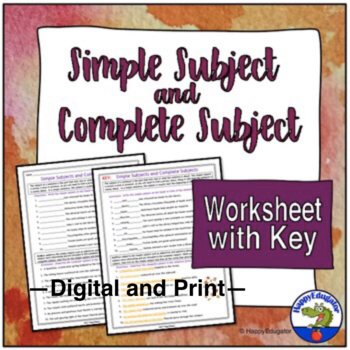 Simple Subjects and Complete Subjects Worksheet. Finding subjects and predicates is made easier with practice. Students will identify simple subjects and complete subjects. This will help them identify complete sentences. Simple and easy to understand directions. Ten sentences for simple subject, and ten for complete subject. 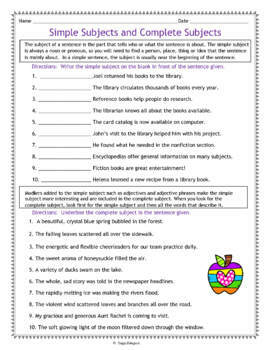 Answer key for the grammar worksheet is included.